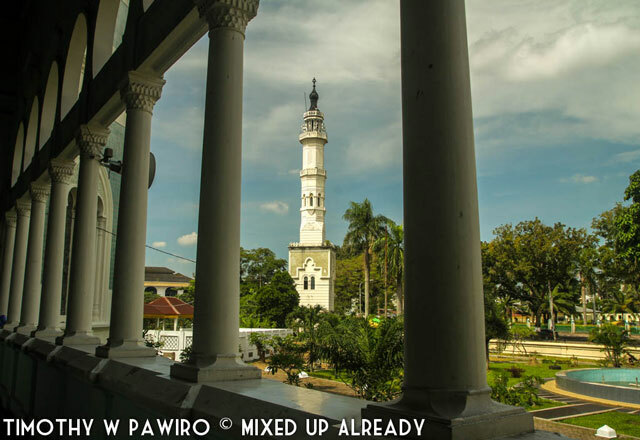 The Al-Mashun mosque in Medan is another place in Medan – Indonesia, where we can see a mix of culture in the design of the property. 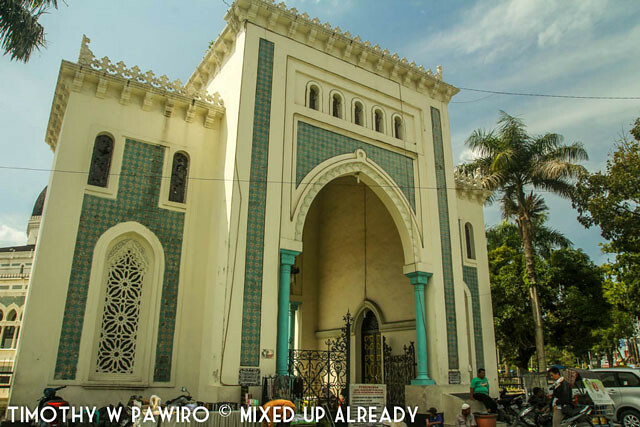 The location of The Al-Mashun mosque is quite close to Maimoon Palace. 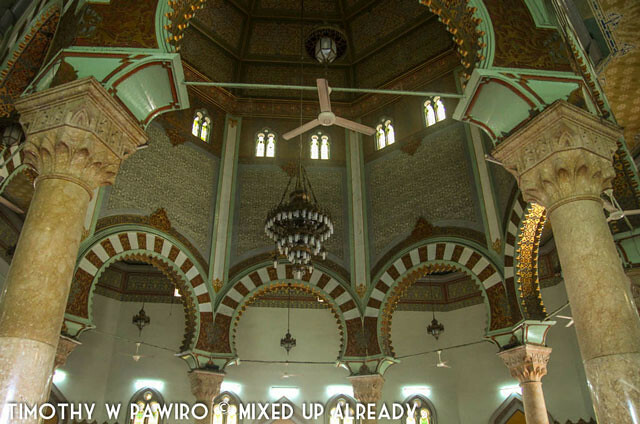 The Al-Mashun mosque was built from 1906 – 1090 was built by one of the Deli Sultans, where the design was made with the same person that designed Maimoon Palace. 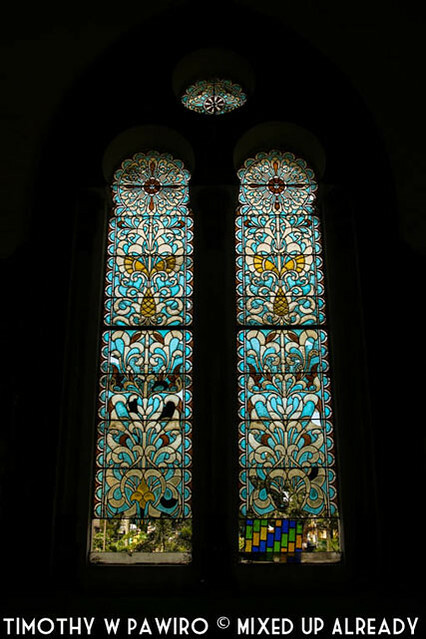 Some of the materials were even imported from European countries (from the chandeliers – France, the tile – Italy), and also China (the stained windows). 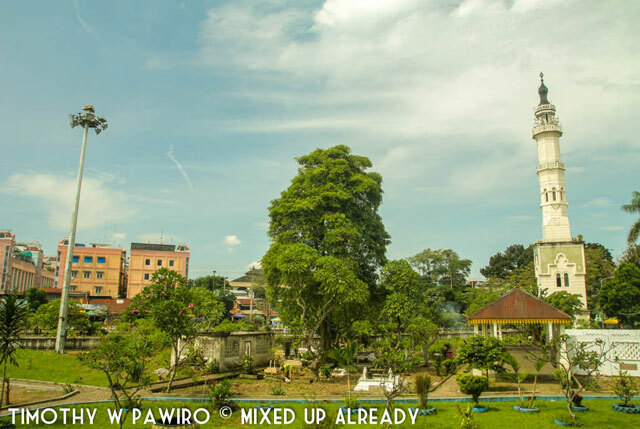 The main building of the mosque was designed in an octagonal shape with four wings beside the main building, where in each buildings – the main and the wings, have their own domes. 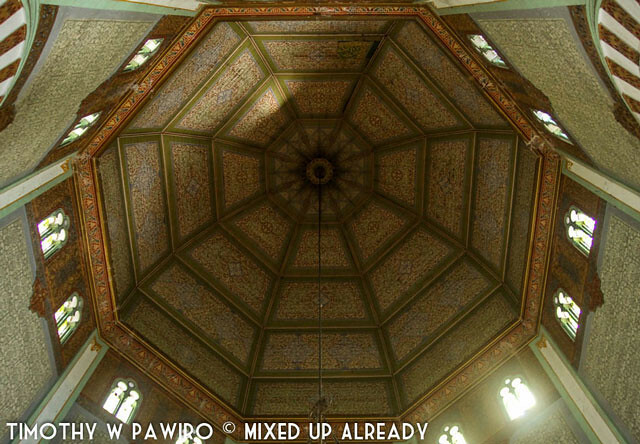 It is said that the dome looks like the one in Turkey where the dome was built using an octagonal base. Other design that was also looks like the design from European architecture was the window at the alley outside the main building that connects each wings. The arch window with no glass looks like the Islamic Kindgom in Spain during medieval. When I entered the main building – not during the pray time, I could see that the design is just special, from the marble pillars, the arch which looks like Moroccan style, and all the details are just beautiful! These had to be expensive materials as the cost to build this was around one million gulden during that time. Even they made the big gate a la Moroccan style as the entrance. 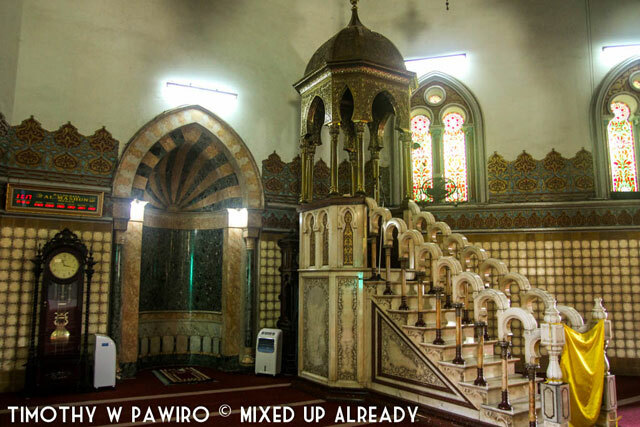 The Al-Mashun mosque is still being used until now for the place of worship, so it’s so grateful that the government preserves this building that is so rich with cultures in the design of the building. Is it a church or an Indian temple? Wow the architecture, especially the design of the interior, are just stunning! 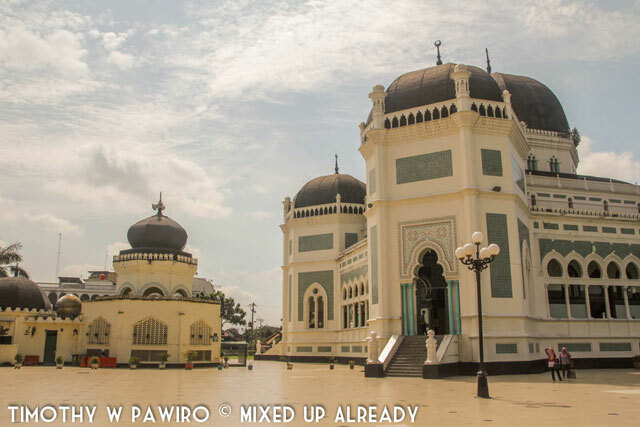 I did not go to this mosque when I was in Medan, and now I regretted my decision. This is just beautiful!